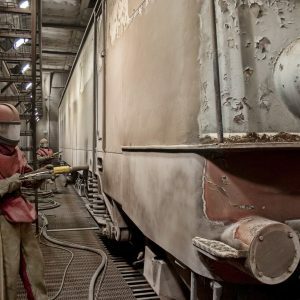 At VacuBlast we operate our very own In-House High-Performance Sandblasting and Protective Coating facility to restore, prepare and protect every type of metal product or building structure. Giving our clients the confidence in knowing that we possess the ability to handle their projects from start to finish, without the need to outsource to any third-party contractors, eliminating the added freight, time and expense associated. 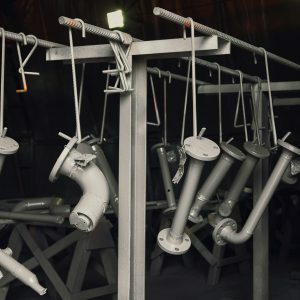 Offering the latest in technology and application methods, VacuBlast technicians have over 15 years’ experience in the surface preparation and corrosion control industry. Only employing the highest quality craftsmen, our department can advise on the optimum preparation technique and coating chemistry required for your specific project, guaranteeing superior quality assurance. VacuBlast operates Sydney’s premier sandblasting facility. Our large, well-equipped blasting room enables us to accommodate sandblasting projects of all sizes, offering light to heavy applications and methods of abrasive blasting to cover all industries for domestic, commercial and industrial cliental. 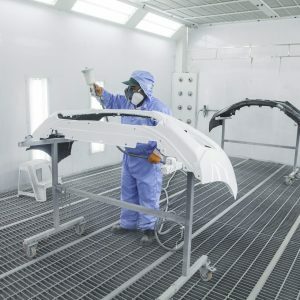 Our powerful sandblasting techniques can remove a variety of contaminants including rust, corrosion, paint, mill scale, resins, metal oxides and epoxy coatings that would otherwise prevent a durable bond to the coated surface. 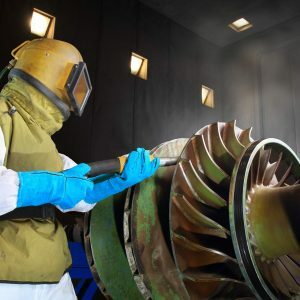 Ensuring an abrasive blast clean to Australian Standards of AS 1627.4, we assure quality through in-house tests to blast profile, humidity and surface temperature. 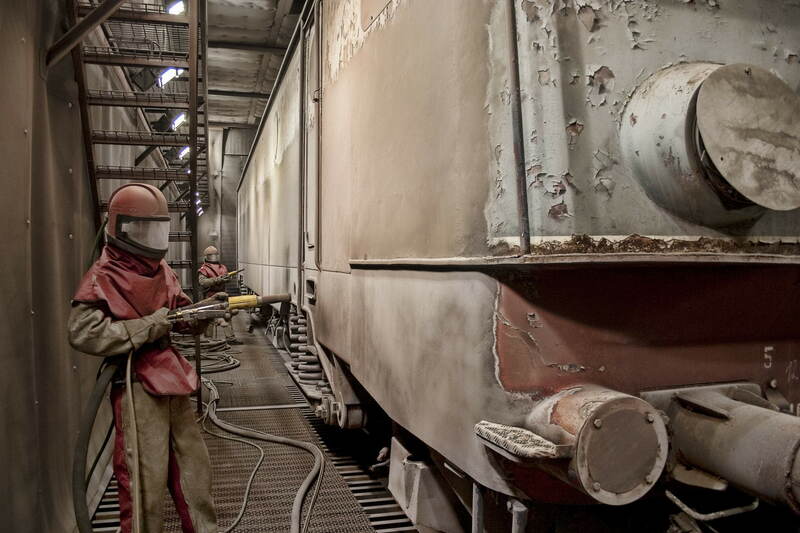 Within our 5m high x 6m wide x 15m long steel sandblasting booth, VacuBlast uses only the highest-grade GMA Garnet, Steel Shot and Glass Beed abrasives to achieve the best quality blast results for our customers. Known for its natural hardness, durability and abrasive characteristics, GMA GarnetTM abrasives are composed of natural Almandite garnet grains that meet all OHS and profile requirements. At VacuBlast we understand the foundation of any quality protective coating or painting project is surface preparation. 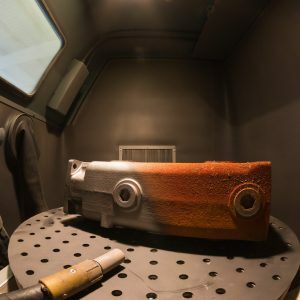 Sandblasting the material surface prior to coating application ensures a coarsened and etched profile for the coating to bond with, increasing the adhesion and durability of the finish. 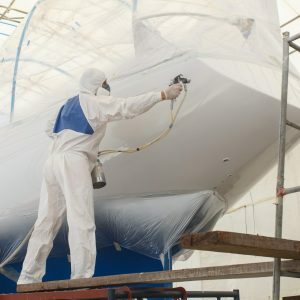 As both surface preparation and protective coatings application is carried out within the same premises, productivity is increased and downtime is minimized, guaranteeing fast turnaround time and long-term corrosion protection. VacuBlast are the experts at applying superior protective coating systems for a range of industrial applications. 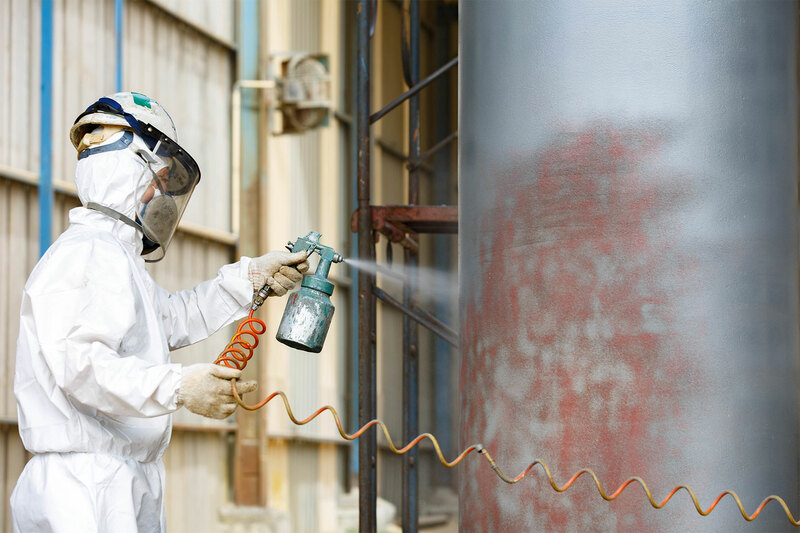 Most commonly servicing the corrosion control industry, we are dedicated to protecting NSW infrastructure by reducing corrosion and delivering quality painting finishes in-line with project specifications and schedule. 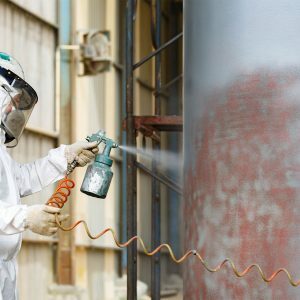 Working closely with materials suppliers, VacuBlast can recommend the required system for specific application of protective coatings, in accordance with Australian Standard Guidelines. 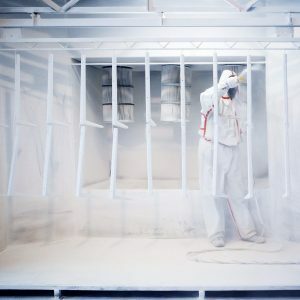 Operating within our large In-House booth, our coating equipment consists of the latest technology in conjunction with a variety of application methods comprising airless spray units, conventional sprayers, roller and brush, allowing the flexibility to cover all industry needs. 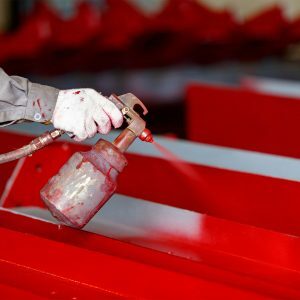 VacuBlast’s experienced coatings managers and technicians have the training and knowledge to provide expert advice and ensure quality application of all industrial coatings. Our mission is to ensure superior quality that exceeds market expectations. With a team empowered to positively influence the surface preparation and corrosion control industry, VacuBlast aims to maintain a continued investment in modern technology, guaranteeing excellence and innovation, all while providing a working environment committed to forming durable client relationships.